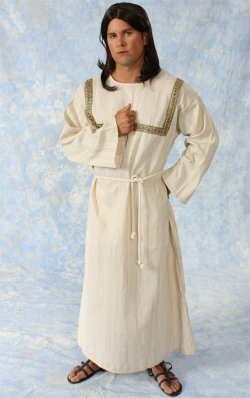 #22-266 - This deluxe costume set includes our gown, mantle, and rope belt in natural colors. Our standard size fits most men with chest sizes 40-46. This item is usually dispatched in 3-5 business days. Actual transit time is additional.